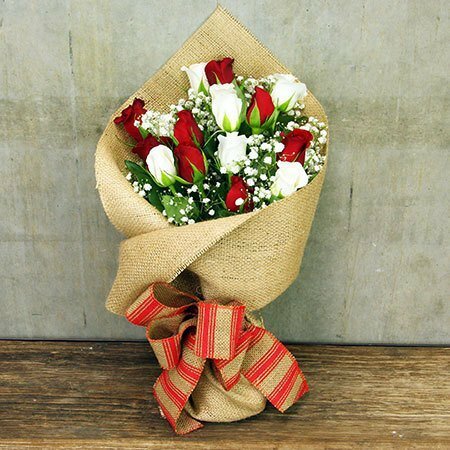 Our candy cane inspired rose bouquet features a festive combination of red and white roses with greenery and delicate baby`s breath. Beautifully gift wrapped for Xmas, this gorgeous bouquet of roses is available for delivery in the Sydney, Melbourne and Perth metro region. WANT TO SEND THESE ROSES ELSEWHERE? 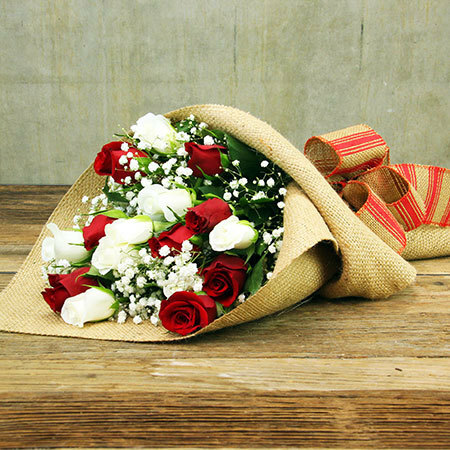 Give our team a call on 1800 66 66 46 or email sales@flowersforeveryone.com.au directly for a custom quote based on where you wish to deliver. Please note pictured presentation and price is exclusive to flower deliveries in Sydney, Melbourne and Perth.